I'm wanting caramelized onions to play a major role in my pizza experiments, so I figured I should try out this slow-cooker trick I saw on Pinterest recently. I'm not sure I love the outcome...but I'm also not sure that I hate it...and what I really mean is that I think stove-top caramelization is more flavorful, but it takes time and patience. This method is quick and when you're simply adding the onions to other dishes and/or covering them with cheese anyway...it might just be the perfect way to get a bunch of delicious caramelized onions. 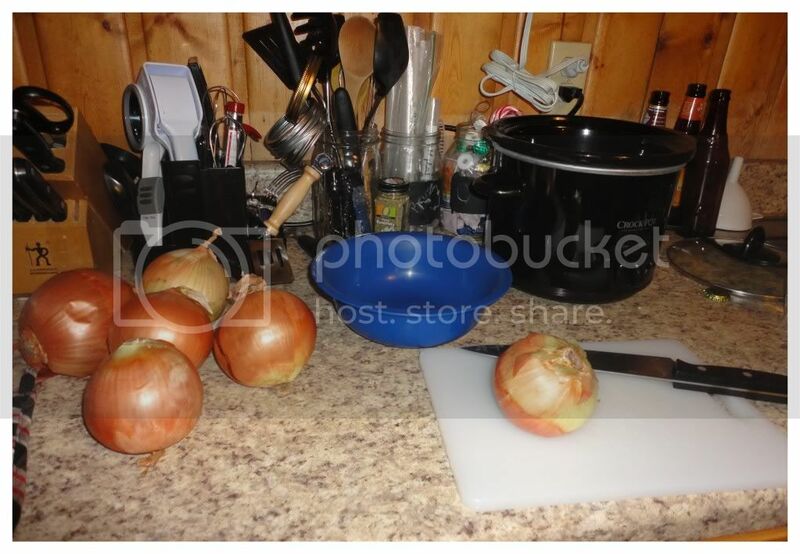 For more awesome ways to use onions, check this out!